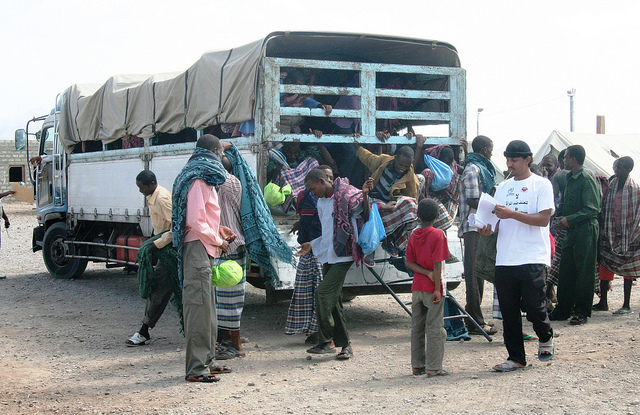 Somali refugees at Kharaz Refugee Camp in Yemen. Photo courtesy of European Civil Protection and Humanitarian Aid Operations department via Flickr Commons. The rise of youth (15-to-24-year-olds) unemployment is one of the critical socio-economic and political problems facing Africa in general, and the Horn of Africa (HoA) in particular. According to the International Labor Organization (ILO) report, youth unemployment is still a serious concern in this part of Africa despite the World Bank (WB) report that most countries in the HoA achieved remarkable economic growth in 2016. The table below provides a snapshot of the extent of youth unemployment in the region vis-à-vis economic growth. South Sudan: Can a Fragile Unity Government Guarantee Peace and Security? 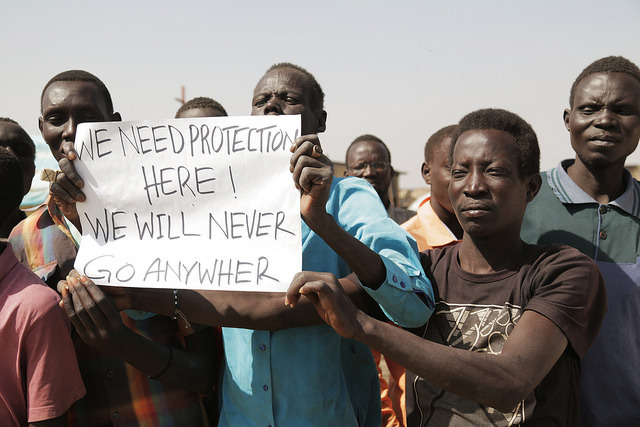 Residents of Malakal, South Sudan protest and demand accountability. Photo by OCHA/Charlotte Cans, via Flickr. Creative Commons. In August 2015, under the auspices of IGAD Plus,1 President Salva Kiir and former rebel leader Riek Machar signed a peace deal for the formation of the transitional national unity government to end more than two years of devastating civil war. Following the deal, Machar, who is also leader of the Sudan People’s Liberation Army-In Opposition (SPLA-IO), returned to Juba in April 2016 and was sworn in as First Vice President, forging a unity government with President Kiir. In accordance with the transitional security arrangements, which came into effect in April, the two rival armies of the Sudan People’s Liberation Army (SPLA) and the SPLA-IO have been stationed in Juba to co-exist and hold joint patrols, providing security and protection in the capital. However, the political leadership has been unable to deal with serious structural issues in the peace agreements and the security situation has deteriorated rapidly since June 2016. Crisis in Burundi: Is a Political Solution Still Possible? 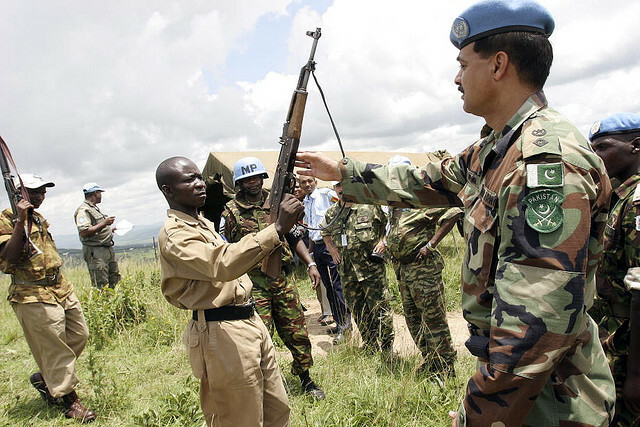 CNDD-FDD forces voluntarily disarm to UN peacekeepers at the end of Burundi’s civil war in 2005. President Nkurunziza rose to power as chairman of the CNDD-FDD. The crisis in Burundi that began six months ago when President Pierre Nkurunziza announced his controversial bid for a third term continues to deteriorate, threatening the still-fragile country’s peace. The president’s announcement led to deadly street protests and an attempted coup in mid-May, which plunged the country into a profound political and military crisis. This crisis has only continued since Nkurunziza won his bid for reelection in July, amid accusations of rampant electoral fraud. The South Sudan Conflict: Where is the AU’s Commitment to Action? Photo Courtesy of the U.S. Department of State via Flickr. In 2000 there was a historic switch from the ‘non-interference’ approach of the Organization of African Unity (OAU) to the ‘non-indifference’ approach of the African Union (AU) in regards to how the regional organization dealt with intra-Africa conflict. The African governments adopted the Constitutive Act of the African Union to incorporate the right of intervention, after learning from the lessons and failures of the OAU in the past, which witnessed gross and massive human rights violations in Africa. Examples of these include the atrocities of Idi Amin in Uganda and Bokassa in the Central African Republic in the 1970s and the genocide in Rwanda in 1994. 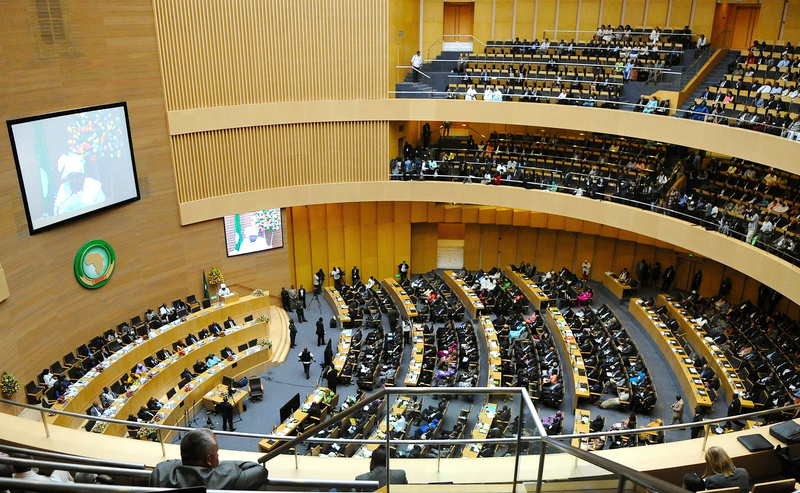 Following this decision, the AU has taken an interventionist and active stance with regards to situations in Burundi, Darfur, Somalia, Comoros, Kenya, and Zimbabwe, and is actively involved in supporting other peace operations around the continent. 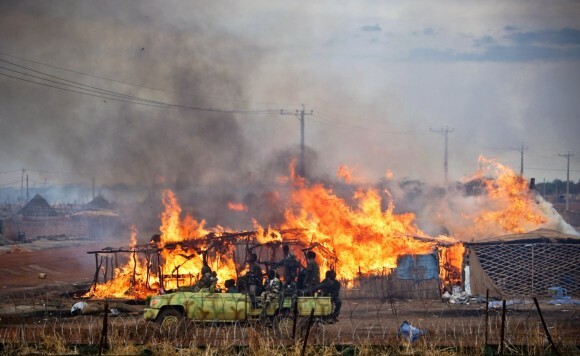 South Sudan’s civil war has continued to escalate ever since the conflict broke out in December 2013. 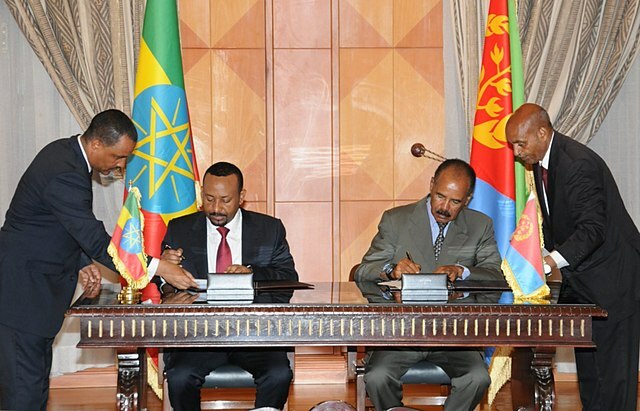 The escalation of the conflict has led to the country becoming a failed state. Most of the stakeholders are reluctant to push the conflicting parties towards a sustainable solution. The current state of the crisis is far from a lasting peace based on accountability and reconciliation. However, there are still attempts to build dialogue among the warring parties.